The US Defense Department’s watchdog knowingly turned a blind eye to financial irregularities, leading to the Pentagon signing off on an audit. This has led to questions regarding just how transparent the government auditing process actually is. A special investigation by Reuters revealed that a senior member of the Department of Defense’s (DoD) Inspector General team had colluded with an independent auditing company, Grant Thornton LLP, to falsely keep the US Marine Corps books clean. The DoD remained the only federal organization that had not abided with a 1992 law passed by Congress to undergo an audit. This was despite the DoD receiving in excess of $500 billion a year, which is by far the largest appropriation of any department. The audit only included the Marine Corps section of the DoD and to make things even simpler, it only included records for the financial year that ended on September 30, 2012. The audit would look to try and account for $29.4 billion spent by the organization. The independent accounting firm Grant Thornton was chosen to undertake the work. 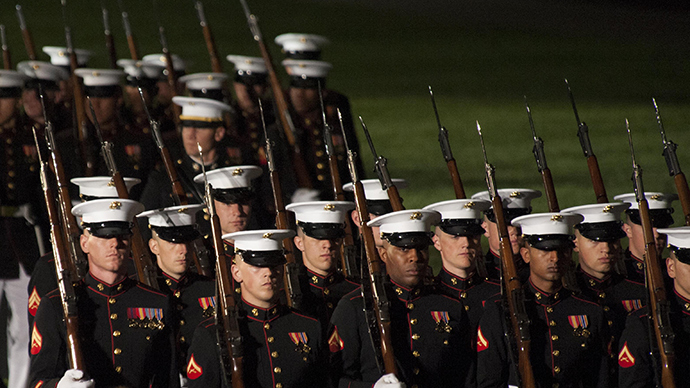 It had already been fulfilling contracts for the Marine Corps after winning a competitive bidding process in 2009. This was despite the inspector general having found on previous occasions that Grant Thornton had been responsible for serious flaws in a series of smaller, unrelated audits. However, as the audit took place a rift began to emerge between the inspector general’s team, who were carrying out the audit, and the deputy inspector general for auditing, Daniel Blair. The team members were not impressed by the Marine Corps books, which had multiple receipts missing and the numbers simply did not add up. Nevertheless, they were coming under pressure from Blair to support the work done by Grant Thornton. In fact, Reuters found, the inspector general team that oversaw the audit had come to the conclusion months before the books were submitted in December 2013 that they were in fact not clean. They knew that the Marine Corps books were in such a state that it would not pass the audit and they recommended that the inspector general should issue a “qualified” opinion – which would be the equivalent to a failing grade, meaning the inspector general could not vouch for the accuracy of the financial statement. Celia Ball, who was in charge of carrying out the audit, had become so frustrated with the work produced by Grant Thornton that she believed the auditing company’s contract should not have been renewed. However, the partner from Grant Thornton who was overseeing the audit was Tracy Greene, who happened to be an old professional friend of Daniel Blair, who had been pushing the DoD’s office inspector general team to toe the line with the auditing company. In an email to Daniel Blair, Edward Blair (a person unrelated to his namesake), who was Ball’s supervisor, said the work produced by Grant Thornton was not up to standard. "The bottom line is GT did not adequately document or support their conclusion about the reliability of the Marine Corps' record-keeping," he wrote. "The firm had not made sure that financial data in the Marine Corps' computer systems was accurate,” and the inspector general's team had to do "compensating work" as a result. The failure of the Marine Corps to provide an audit could make it even more difficult for other areas of the military to take the steps necessary to receive a clean audit by the 2017 deadline set by Congress in 2009.